Details: Donut Cheat! is an event that focuses on spreading awareness about Academic Integrity and providing resources to students to help them with Academic Integrity. The event will feature games, coffee/tea and plenty of doughnuts. The Ombuds and Librarians will be available at the event to answer any questions from students on the subject of Academic Integrity. 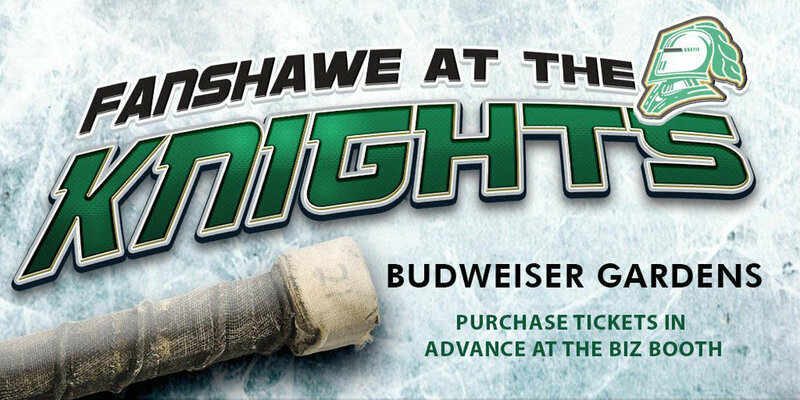 Details: Beginning March 12th at 9 AM, Fanshawe students can purchase specially priced tickets at the Biz Booth for the March 16th London Knights versus Sarnia Sting game at Budweiser Gardens. A limited number are available, so you are advised to get to the Biz Booth as soon as possible.